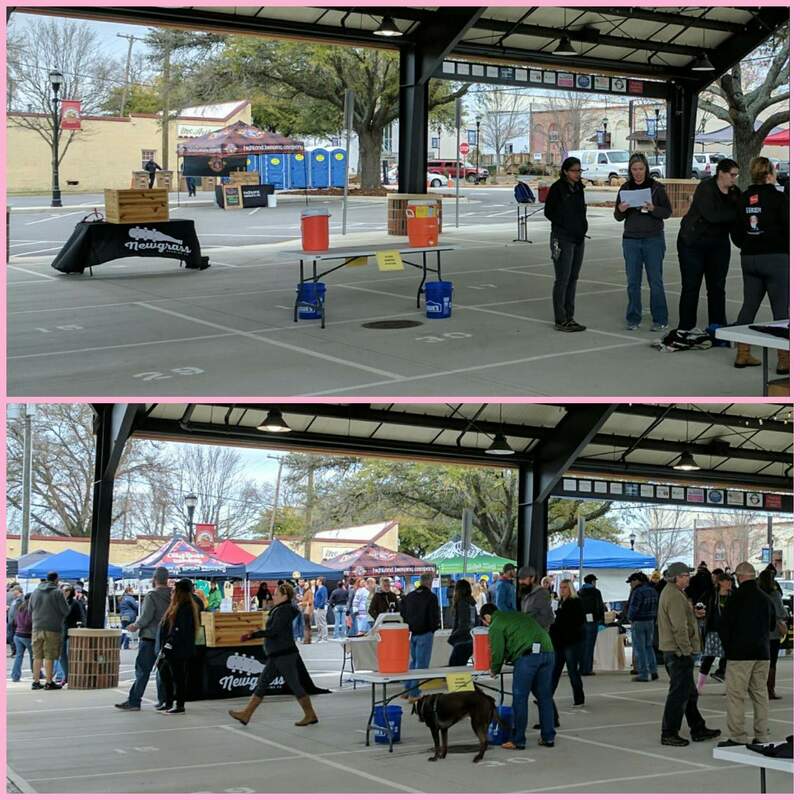 Here I am, writing this blog for the March 2019 Pink Boots newsletter; when just four very short years ago in March I was attending not only my first Pink Boots Brew day, but also my very first Pink Boots meeting. At 24, I was a server turned beer-tender who up until that point, had no direction or clear idea where life was headed. Waiting tables at a brew pub, I learned about and quickly fell in love with beer! As soon as I could, I made the transition from waiting tables in Oakland to working at a taproom in San Francisco – slinging beers and constantly having my head buried in a Randy Mosher book! I absorbed every ounce of knowledge our head brewer bestowed upon us, and always asked questions about the brewing process. It didn’t take long to realize that I needed more, that I had a void in my life, and I needed to fill that void by brewing. Having no clue how I was going to get there, no clue how many doors would be shut in my face, I did know not going for it was not an option. In my time working at the brew pub and taproom, a few peers told me about the Pink Boots Society. “They are an organization of women who work in the beer industry”, one would say. “But I am not really sure what it is they actually do”, another would say. Looking for any opportunity, mentorship, anything to help further my career along, I applied to join the boots society and see what it was all about. Right around the time I joined, they were gearing up to have multiple collaboration brews around the world. 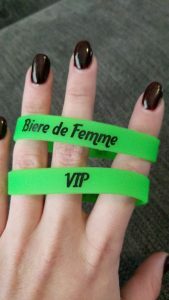 Women from all over were given a style to brew, a red ale, leaving recipes and ingredients up to the brewers. Looking back now, I didn’t know how much these brew days would come to mean to me. They were like a warm hug, they always happen when I seem to need them the most, no matter what stage in my career. We gathered at Speakeasy Ales and Lagers, a San Francisco staple brewery. Their brewer, Cat (OMG! I thought, a girl brewer! ), led us through the process and we brewed an amazing red ale. When I walked into that brewery, I was terrified. I had never been to a big brew day like this, where I would be surrounded by women who all made huge impacts in the brewing world. During the day, I was introduced to a few other women brewers, and to say the least, I was completely starstruck that these women were out there living their best lives brewing beer. They followed their passions living out my dream. I was absolutely inspired! After my first collaboration brew day, I ended up going from beer-tending to getting a job packaging beer. From there, I got my first assistant brewing job at a small nano brewery, where I made a few mistakes and I was fired. I remember the feeling of giving up. Everything I had worked so hard to achieve was over, I was fired, it was devastating, and I was embarrassed. 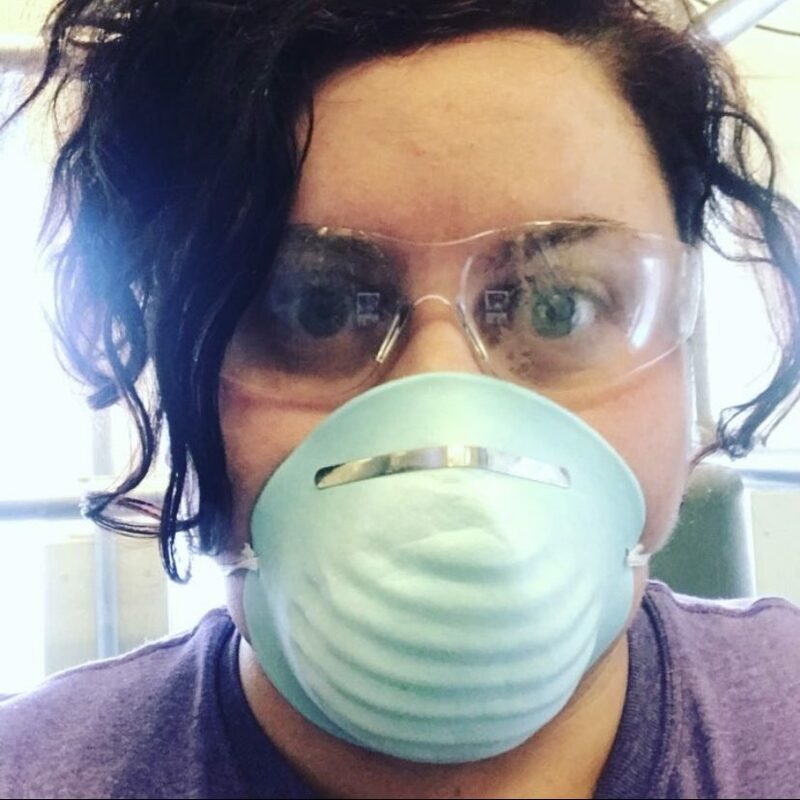 This happened about a month before our chapter was supposed to brew our collaboration at a little brewery you might have heard of, Sierra Nevada. Wrestling with weather or not I should go, feeling down, I was lost about what to do next and I didn’t think I could face a room full of people telling me they were sorry I lost my job. But I did go, and I wasn’t met with pity, I was met with a room full of encouragement. They told me stories of messing up at their jobs, there were women who had also been let go from jobs, women who did not stop because someone told them they couldn’t do it. It was that same warm hug feeling, I was embraced with inspiration, ready to stand up and take control of my career again. Hired on as an assistant brewer in a new job, I began to thrive! We even hosted our own small collaboration brew day where I got to host some of the women who inspired me to pursue my beer career. During this time, I was lucky enough to win a scholarship for Siebel’s Online Concise Course in Brewing Technology through the Pink Boots Society. After high school I did not go to college, so winning this scholarship and getting higher education was life changing for me. It also happened to come as I was quitting my assistant brewing job and packing my life to take a head brewing job across the country. I moved from Oakland, California, to a small, tourist town in the Northwoods of Wisconsin. When I arrived there, it was a struggle, I had a hard time taking over the extremely old brew house. But I kept pushing, and hosted another brew day for the girls in my new chapter. The brew house was so old that during our brew day a steam fitting finally had enough, the corrosion ate through the pipe and the brewery filled up with steam. But like all great brewers, we got the beer brewed and had an awesome day filled with great beer and a newly formed sisterhood. No one knew at the time how home sick I was, and how much I was regretting taking this job. 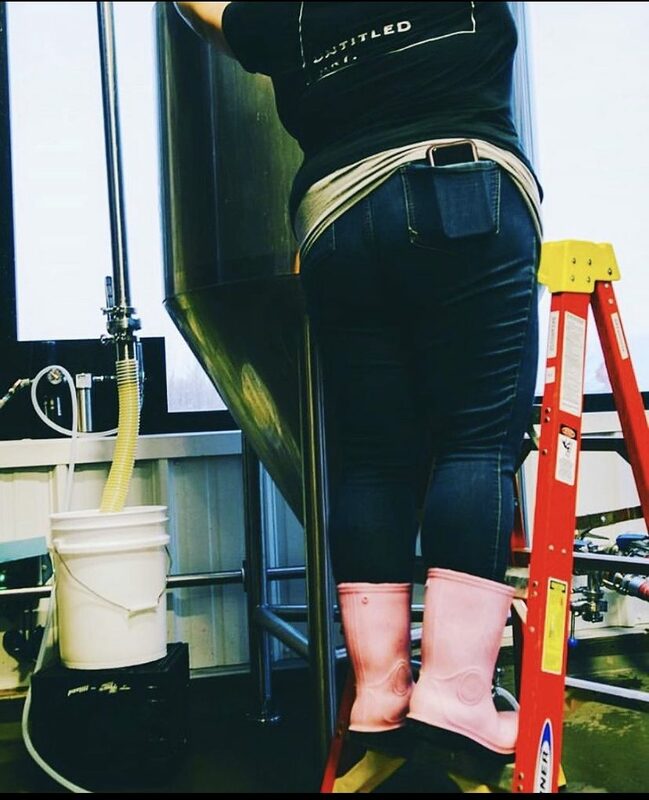 Again, Pink Boots brew day to the rescue! It gave me the clarity that I needed to leave that job for how miserable it made me. 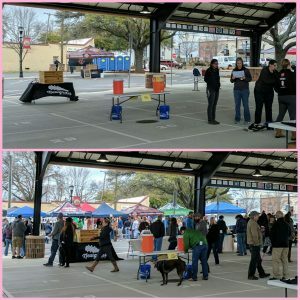 So here I am now, reflecting on all the Pink Boots brew days I have been able to participate in and to host! Currently, I’m brewing at Octopi Brewing in Waunakee, Wisconsin, one of Wisconsin’s fastest growing breweries. Recently I was voted President of the Wisconsin Pink Boots chapter. 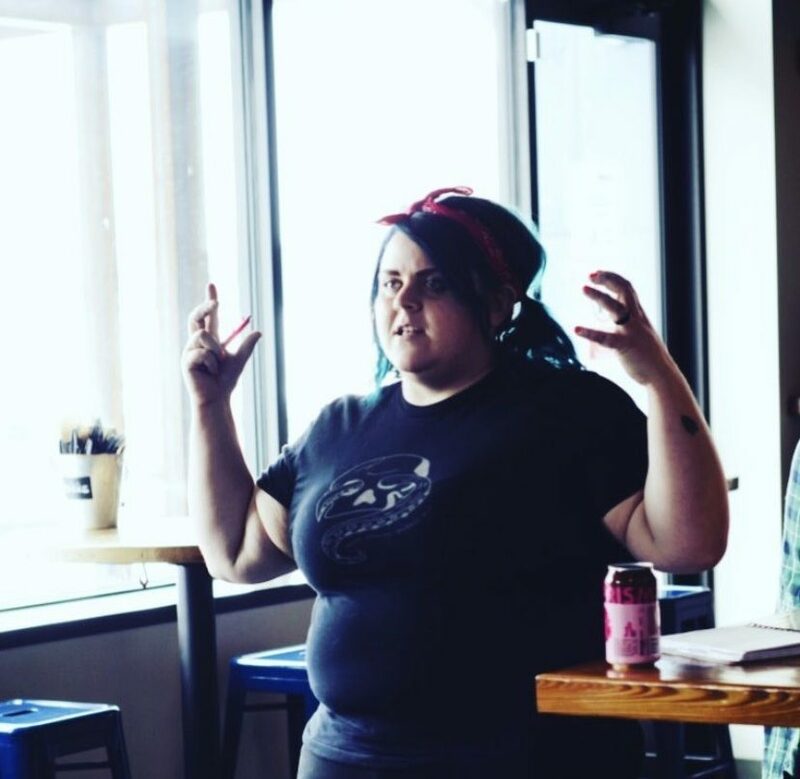 I just planned and executed a 30 barrel brew for our chapter, where we invited a ton of Wisconsin industry folk, and I lead a meeting on inclusion in the beer industry. It was a familiar feeling, meeting with young women who want to be brewers but aren’t sure how to go about it. Telling my story about how I came to be a brewer, to a room full of brewers and aspiring brewers made me feel so proud! It let me feel pride in myself, and how much I have accomplished. The Pink Boots has been such a driving force in my career, and if I can share that warm embrace of inspiration, then I must be doing something right! Even after all the mistakes, the ups and downs, I can continue on. No matter how many doors get shut, there is always a window to go through. 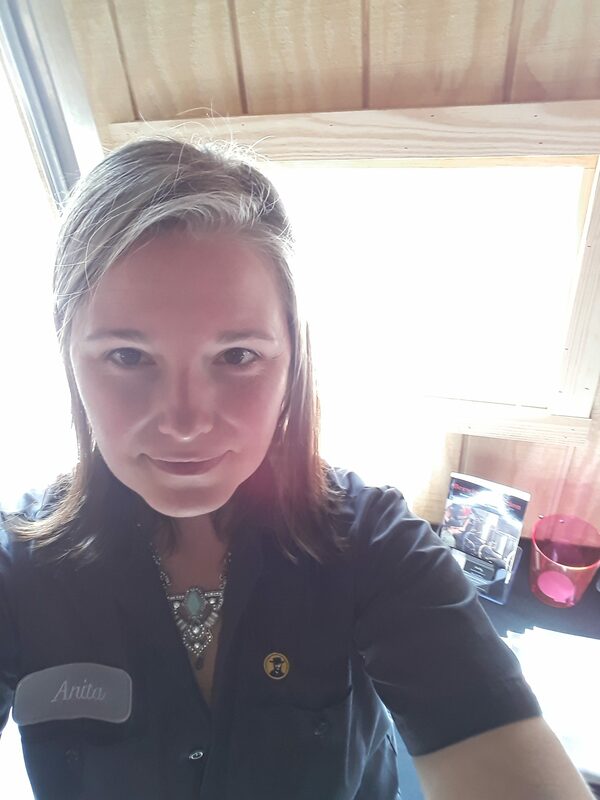 From beer-tending to brewing, Erica has worked almost every job in the brewery. 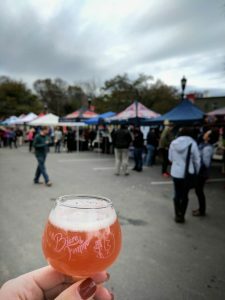 A California native, she now lives in Madison, Wisconsin, working as a brewer at one of Wisconsin’s fastest growing contract breweries – Octopi Brewing. Erica is also the president of the Wisconsin chapter of the Pink Boots Society. Erica has a deep love for cask ale, cats, and clear beer.